The members of GENTRI perform “God Bless The USA” in a classic country setting. 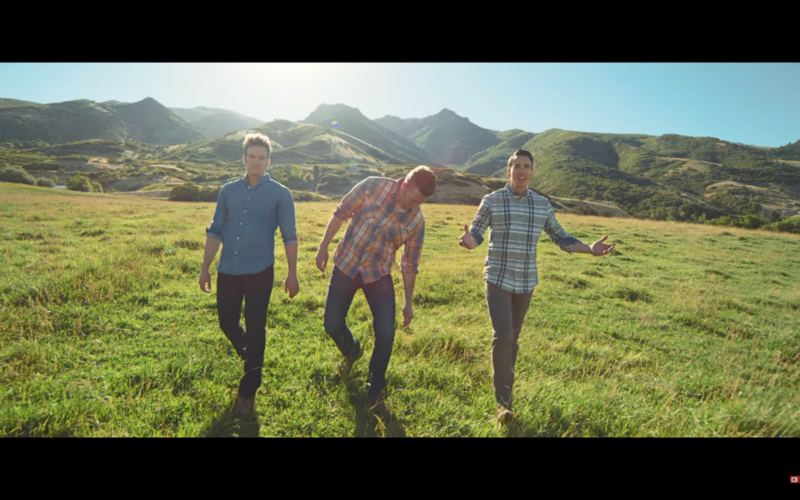 GENTRI teased the new video release earlier this week on Twitter with screenshots of the three tenors in a country setting with a large American flag hanging in the background. The teaser got fans excited for the newest release from the group since their Father’s Day tribute, “Don’t Let Go.” “God Bless The USA” is the latest addition to GENTRI’s #GENTRIcovers series where the trio cover different popular songs in their more classical style. 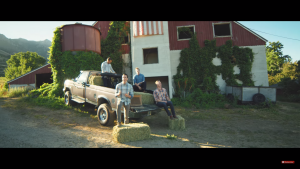 The “God Bless The USA” video features the three members of GENTRI in a rustic country setting that “oozes” feelings of traditional American culture. The large American flag hanging from the barn is the perfect addition to the ambiance of the video and its message. “God Bless The USA” is an extremely patriotic song, and GENTRI brings a classical, powerful aspect to the popular tune. The song was originally released in 1984. It has a history of resurfacing at poignant moments in recent history. During the Gulf War, “God Bless The USA” was used as a way to boost morale. It also became extremely popular again after the September 11, 2001 attacks and during the 2003 invasion of Iraq. In 2011, when Osama Bin Laden was killed by an American raid in Pakistan, “God Bless The USA” rose to the top of the charts once again. Lee Greenwood, who first wrote and recorded the song, said that it was the song he had been wanting to write his whole life. It was inspired by recent events and was a reflection of his pride to be an American. “God Bless The USA” has a way of doing that. When someone hears it, they can’t help but feel a surge of pride for their country and all those who have died defending it. Its rousing anthem can make us feel hope in the darkest times and reminds us of all the freedoms we have just because of the country we are lucky enough to live in. While the United States isn’t perfect and is going through a rough period in its history, “God Bless The USA” still reminds us of who we are and what we’re lucky enough to have.